I had almost forgotten I had submitted to Midwest Book Review copies of my newest books “TurnKey Publishing” and “The TurnKey Publisher’s Audio Publishing Handbook”. I am happy to announce they did a favorable write-up for the two books. I thank Midwest Book Review for their favorable review. There is now a brand new two-volume series by Matthew S. Chan designed specifically to help individuals and niche groups profitable publish books as a source of revenue for themselves and/or their projects. 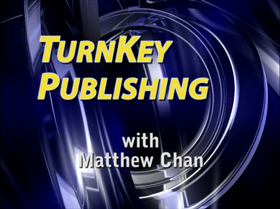 “TurnKey Publishing” (9781933723013, $21.95) is a complete course of step-by-step instruction on creating a commercially successful book. Chan debunks such common myths as it being too difficult to write a book, too expensive to publish a book, it being necessary to sell through bookstores to be successful, needing an agent to become reputably published. Readers will learn how to retain total creative control over their own work; use accelerated publishing to turn out three or more titles a year; produce and build a book — instead of simply writing one; sell books outside a traditional bookstore, publish outside of a traditional publisher, create a business that provides a revenue stream, convert and package personal knowledge, experience and stories into an income-producing book, and market oneself successfully even when beginning as a totally unknown author. “The TurnKey Publisher’s Audio Publishing Handbook” (9781933723150, $20.95) has as its specific focus the creation and self-publication of an audio book and/or audio program — without going through a traditional audio book publisher or using a professional recording studio. Of special note is the cogent and practical information provided with respect to finding the right vendors to design and manufacture an audio CD package and adapting a print book to an audio book format. Every novice author aspiring to publish their manuscript and every group seeking to fund raise through publishing a book should give “TurnKey Publishing” a very careful (and profitable!) reading. 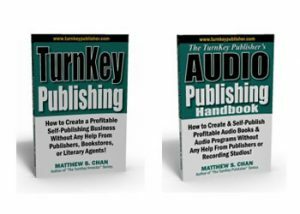 Every published author and every niche publisher should carefully read “The TurnKey Publisher’s Audio Publishing Handbook” with an eye towards considering turning their print publications into an audio book format to augment their revenue stream.